I’m taking a different approach to the traditional basket with a Modern Easter Basket or bowl. I miss those years when my kids looked forward to decorating and dying Easter eggs. Sometimes they had so much fun, we would repeat it the next day after buying more eggs. 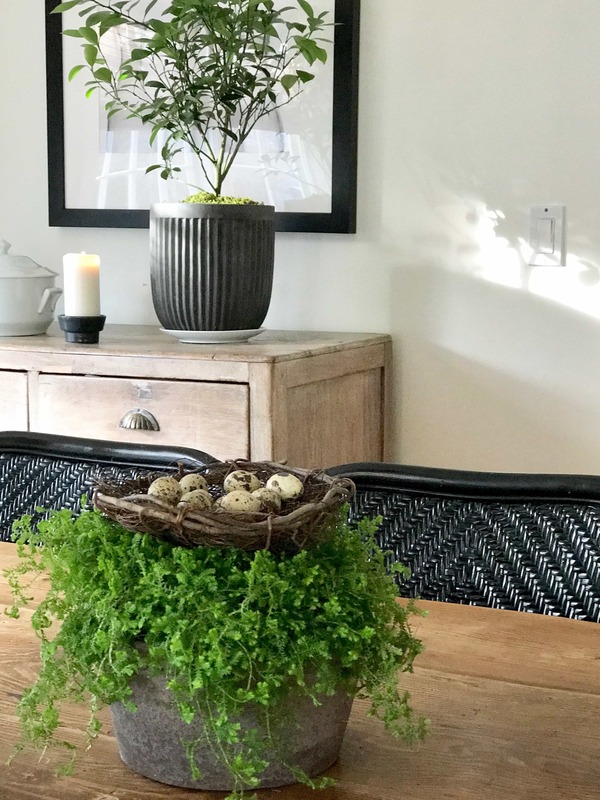 Now they are 17 and 22 so no more egg dying after school, but I still like to have a basket of eggs on the table for a little springtime decor. I loved this Købenler bowl from Terrain. 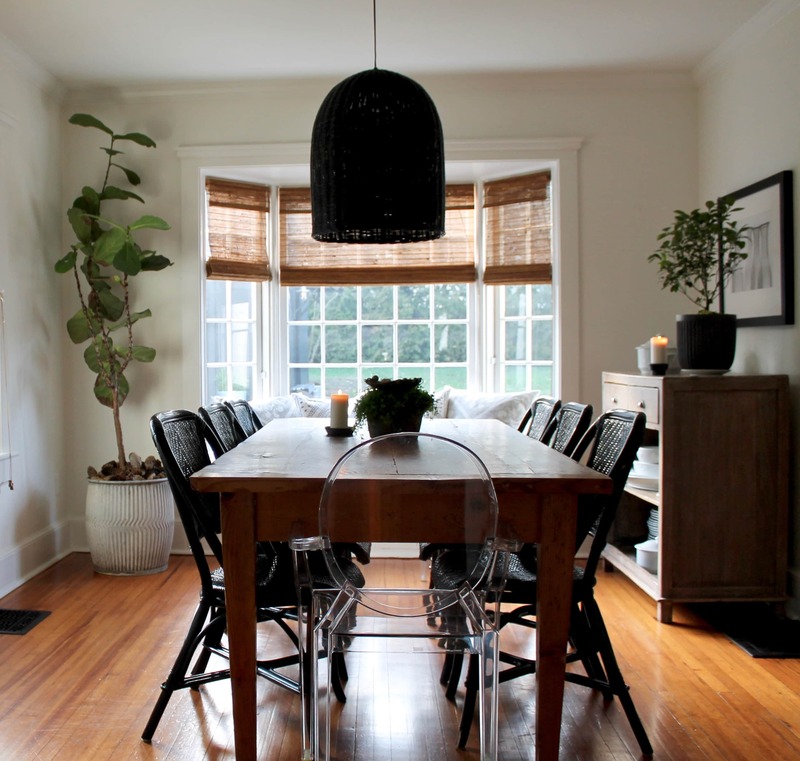 (and not just because of the Danish design) but I like that I could use it for Easter/Spring now and then re-purpose it all year long both inside the house and out on the porch or patio. I couldn’t resist this Selaginella fern that seemed so springy, but it does hide the beautiful scalloped edge on the planter. You can see the planter here and on my Lovely Gardens, Beautiful Flowers and Ivy Covered Walls Pinterest board. 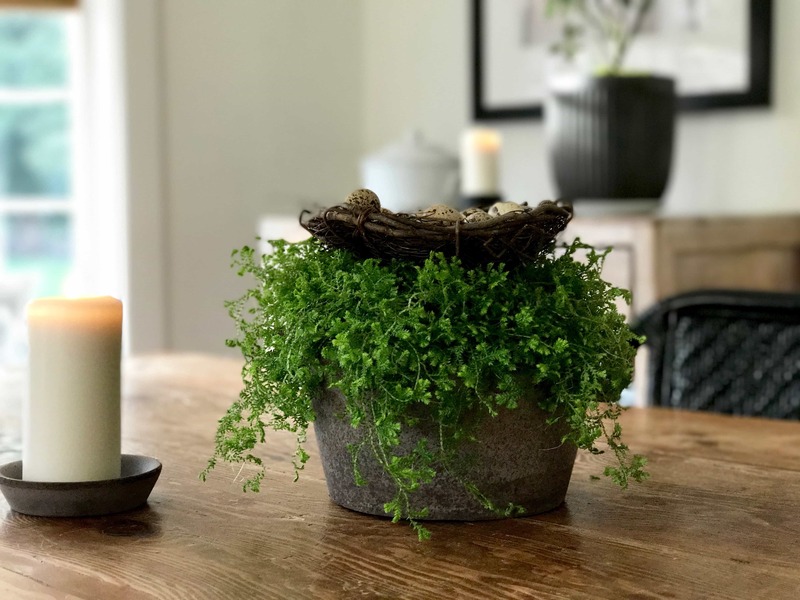 Below are a few other ideas that would work well for a springtime display of eggs or plants and then you have a beautiful serving bowl when you’re done. Or, you probably already have something on your shelves that would work just beautifully! 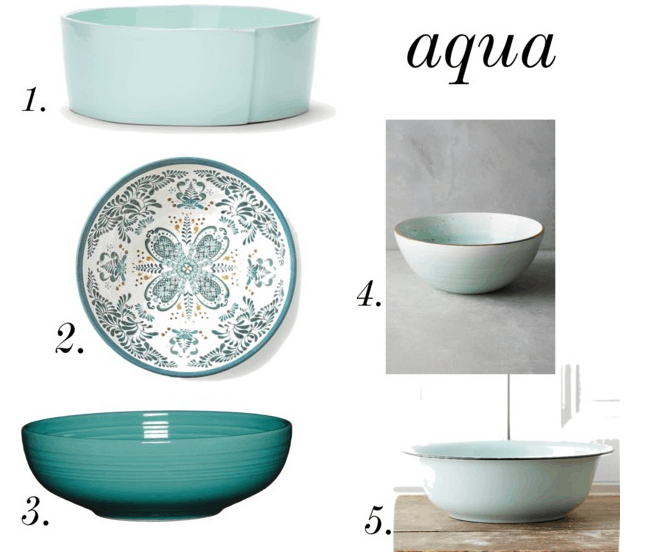 I don’t typically use aqua, but it’s perfect for Spring. 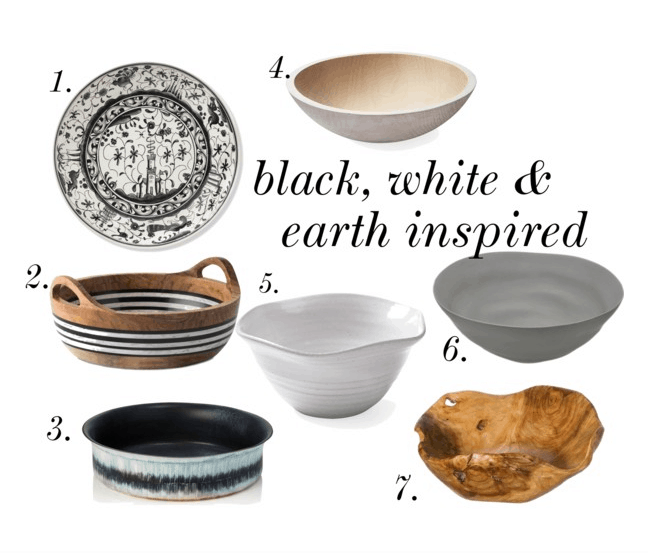 Or any of these that are a little more earthy or something black and white.